As the time approaches for gifts for a birthday, christmas or special occasion it can be a bit nerve wracking trying to decide on what Airsoft Gift to buy. We Airsoft players are a unique lot, what one person likes another may hate, and there's nothing worse than purchasing a gift to find out the person doesn't like it! For these types of scenarios we have put together a Gift Card which can be purchased and renewed against buying kit from our website! Let the Airsoft player in your life chose the present they want the most, or contribute towards that gun they've always want it! Trying to buy a gun as a gift for an Airsofter can be a nightmare: you might not know what to pick, and you probably don't have an Airsoft Defence, if this sounds like you: gift cards are the solution. Giving the gift of Airsoft Gift Cards allows the person to pick whichever gun they like, as well as allows them to use their own defence, meaning no two-tone nastiness! We realise that quite a lot of Airsoft guns are out of the price range for any one person as a gift. Stop worrying about it and buy them Airsoft Gift Vouchers instead. They can pool all their vouchers together to buy the gun they want. Work with friends and family to contribute towards the recipients gun fund! Take the worry out of buying! You probably know your son or daughter loves to play Airsoft, but when it comes to the finer details you might not know exactly what you're looking for. If this is the case, worry no longer, if you gift them vouchers they can pick their own kit which they will know works for them! Due to the way the law works the person who pays for the weapon must have a defence. Buying gift cards is a way to avoid having to two-tone the weapon, the recipient can pay for the weapon using the Gift Cards using their own defense. Buying online with your Airsoft Gift card is simple. Each card comes with a scratch-off section which reveals a code which can be used on our website. Grab your card and scratch of the scratchable section to reveal your unique gift card code. Add everything you want to order then head to the basket. The code can be entered at the bottom right of the basket page. Kick back and wait for the fun to arrive! Your goods are on their way. Buying in-store is even easier than online, simply hand over your card and we'll take the value off the cost of your purchase. Bring your card in-store to our Huddersfield based brick and mortar store. Hand over the unscratched card and we'll remove the value off your purchase. It's all yours to enjoy, go out there and have fun! Looking for the small print? You can find all the fine print related to Airsoft Gift Cards on our Terms and Conditions Page. Can't decide what Airsoft kit to buy, or don't know what to buy for your Girlfriend / Boyfriend / Significant other? Looking forward to a Festive Period or birthday, but not looking forward to having to pick out a gift? Why not cut yourself out of the equation and grab yourself an Airsoft Gift Card. Allow the recipient to pick the gear they want, rather than what you think they want. Gift cards can be gifted to friends and family which allows them to take the value off their next order. For up to date Gift Card and Voucher Terms and Conditions please see our Terms and Conditions Page. 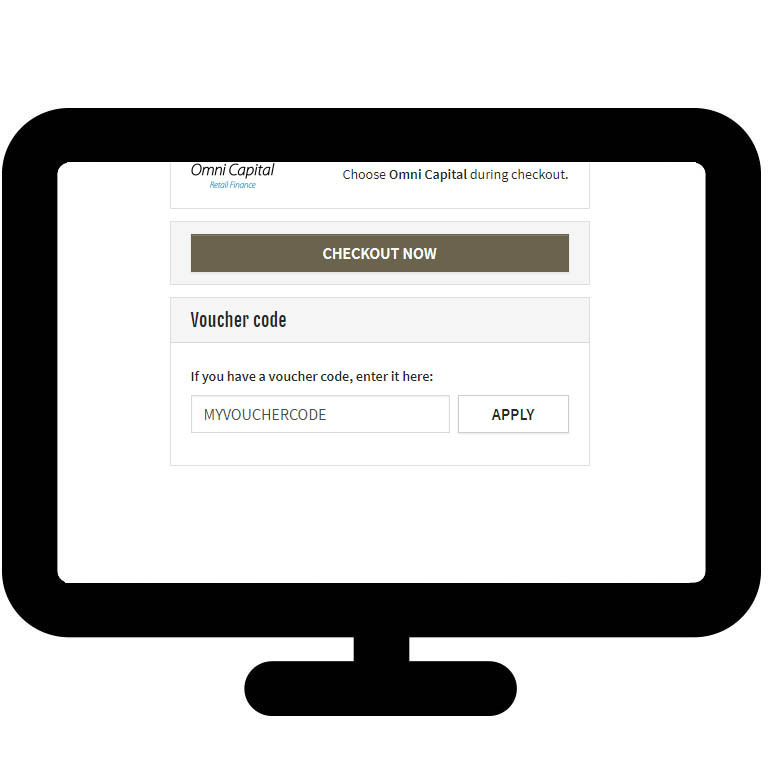 You enter the voucher codes via the Voucher Code box at the bottom right of the checkout page. The voucher box becomes visible once you add products to your basket. Once the code is entered it will be applied to your basket until it is removed.